Medicaid, the state/federal health coverage program for low-income people, may take its money back from your estate after you die, if you received Medicaid-funded long-term care services (or any Medicaid-funded services, in some states) after age 55 (or before age 55, in some states, if you were permanently institutionalized). Known as the Medicaid Estate Recovery Program, Medicaid can recover the money it spent on your care from your estate. This is a longstanding provision, enacted as part of the 1993 Omnibus Budget Reconciliation Act (OBRA). Prior to 1993, it was optional for states to seek estate recovery of long-term care costs for people age 65+. After 1993, it became mandatory for states to do so, for people who incurred the costs when they were 55+. Although the idea of Medicaid taking money that otherwise would have gone to your heirs is distasteful, it becomes more palatable when you look at the reasons behind the MERP program. Since Medicaid is funded by federal and state taxpayers, the goal of MERP is to lower Medicaid costs. If it can recover part or all of the money it spent on your healthcare, it saves taxpayers money. If Medicaid is paying for your long-term nursing home care, it’s likely thanks to Medicaid that there will be any estate left from which to recover funds. Without Medicaid coverage, you may have had to sell your house and other valuables to pay for your care, in effect liquidating your estate while you’re alive to pay for your long-term care. And it's worth noting that Medicaid covers roughly two-thirds of nursing home residents in the US. Whose Estates Are Subject to MERP? The federal government has general guidelines for MERP, but specifics vary from state to state. The basic federal guidelines place your estate at risk if you’re at least 55 years old and receiving long-term care services paid for by Medicaid. Specifically, the text of the legislation that implemented MERP clarifies that costs can be recovered for "nursing facility services, home and community-based services, and related hospital and prescription drug services" (in other words, long-term care services, rather than basic medical care) for people who were 55 or older when the care was provided. But states also have the option to use estate recovery to recoup Medicaid costs for a person who was permanently institutionalized, even if they were younger than 55. States can also implement estate recovery for any Medicaid spending (ie, not just long-term-care costs) incurred after enrollees turn 55. So depending on where you live, your estate could be subject to MERP if you're covered by Medicaid, even if you never end up needing long-term care. The expansion of Medicaid under the Affordable Care Act (ACA) pushed the issue of Medicaid estate recovery to the foreground in states that had strict estate recovery programs in place. Under the ACA, Medicaid is available to residents in the majority of the states if their incomes don't exceed 138 percent of the poverty level. Assets are no longer taken into account for people younger than 65. And premium subsidies (to offset the cost of private coverage) are not available for people who are eligible for Medicaid. So a much larger population of people age 55+ are now eligible for Medicaid. If they try to enroll in a plan through the health insurance exchanges, they are directed to the Medicaid system instead, based on their income. In states that have Medicaid estate recovery programs that go beyond long-term care costs, this has resulted in some people being caught off-guard by the estate recovery programs. Some states that previously had more robust Medicaid estate recovery programs have opted to limit their estate recovery programs to only what's required by the federal government (ie, long-term care costs). It's important to understand that while the ACA expanded the population of people age 55-64 who are enrolled in Medicaid—and whose assets are not taken into consideration when their Medicaid eligibility is determined—it did not change anything about the Medicaid estate recovery program. What Assets Does MERP Take? All states try to recover Medicaid money spent on long-term care such as nursing homes. Some states also try to recover money spent on other healthcare expenses. States aren’t allowed to take more money from your estate than they spent on your care. All states try to recover from estate assets that pass through probate, but some states also try to recover from other assets. States are allowed to recover Medicaid money from assets that avoid probate such as assets that pass through joint tenancy and living trusts. Since state laws vary, the only way to know for sure if your estate is at risk is to educate yourself about the specifics of your state’s MERP. 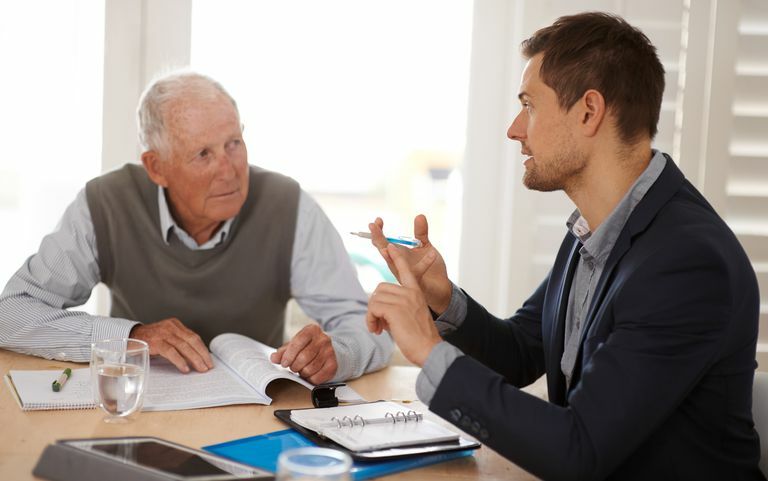 Although your state Medicaid office can tell you the basics, you may find it helpful to consult a professional specializing in elder law or estate planning. States aren’t allowed to make estate recoveries while your spouse is alive, but they can try to recover Medicaid funds spent on your healthcare after your spouse dies. States can’t make recoveries if you have a living child who is under 21 years old, blind, or disabled. In some situations, states can’t recover funds from the value of your house if an adult child who cared for you is living there. But, these rules are complicated, so if you’re relying on this to protect your house from MERP, you’ll need to consult an estate planning professional or get legal advice. States must provide for hardship exceptions to MERP. But, each state decides for itself how it defines hardship. The federal government suggests that estates which include small family businesses and family farms be considered for a hardship exception if the income produced from the property is essential to the support of surviving family members. There are additional protections that apply to American Indians and Alaska Natives. How Can You Protect Your Estate? In some cases, you may not be able to protect your estate. In others, advanced planning with the help of an elder law attorney or estate planning professional may shield some or all of your estate’s assets. Or, you may discover that the laws in your state make it unlikely that MERP will try to recover assets from your estate. If you're in a state that participates in the Partnership for Long-Term Care, you may be able to protect some of your assets from Medicaid estate recovery by purchasing a private long-term care policy. If you eventually need care that exceeds the benefits of your policy, a portion of the cost of your care will be protected from estate recovery. Since Medicaid regulations and probate laws vary from state to state, often the only way to know is to seek help from a professional familiar with both the Medicaid MERP program and probate laws in your state. Medicaid.gov. Estate Recovery and Liens. Elder Law Answers. Medicaid's Power to Recoup Benefits Paid: Estate Recovery and Liens. April 18, 2017. Congress.gov. HR2264. Omnibus Budget Reconciliation Act of 1993. FactCheck.org. Medicaid Estate Recovery Program. January 10, 2014. Centers for Medicare and Medicaid Services. Medicaid Estate Recovery: Rules and Protections for American Indians and Alaska Natives. Medicaid Eligibility and Your Assets: What Counts and What Doesn't? Your Spouse Goes on Medicaid and Moves Into a Nursing Home. Now What?